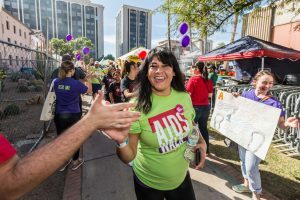 Join Us on October 14, 2018, to celebrate 30 years of AIDSWALK Tucson! Register Today! Register Online by selecting from the list, below. Set a fundraising goal for yourself. Build your own fundraising page that you can email to friends and family. Build a team of walkers- it’s fun to walk with family and friends. And last, don’t forget to tell people what you’re doing and why you walk! Fundraise and win awesome prizes! Level 1: Fundraise $500+, and you will receive the official AIDSWALK30 pennant, and the official AIDSWALK T-Shirt to wear during the walk! Level 2: Fundraise $750+, and you will receive a both Level 1 prizes and the official AIDSWALK30 beach towel! Level 3: Fundraise $1,000+, and you will receive both Level 1 and Level 2 prizes AND the official AIDSWALK30 duffle bag! The #1 top fundraiser will also receive a prize presented at the walk!! Fundraising- why do I need to fundraise? One of the most important parts of AIDSWALK is the fundraising done by hundreds of walkers and runners. 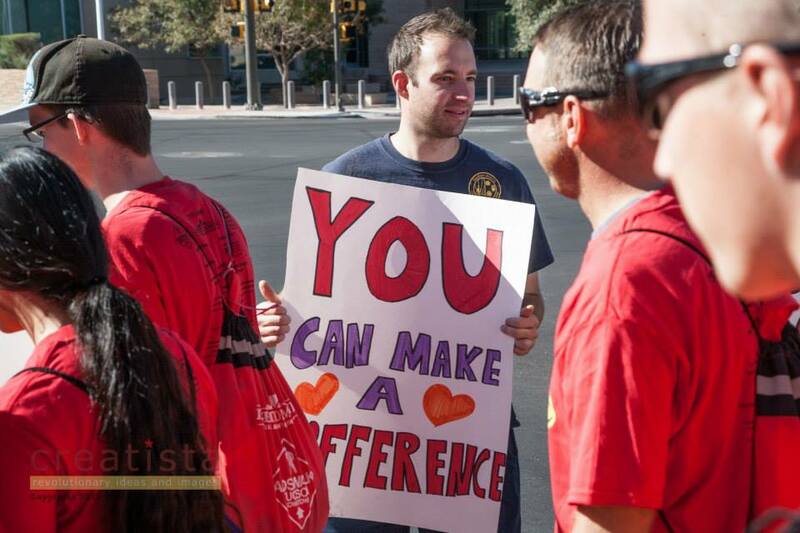 You help to ensure that programs for people and families living with and affected by HIV/AIDS continue. PLUS – Because our event is completely underwritten by corporate sponsors, 100% of Walker dollars raised go directly back to SAAF! Fundraising for AIDSWALK also helps to support the many prevention and education opportunities that SAAF is able to provide to the community so that everyone has accurate information on how this disease is transmitted because knowledge = power!